Zuni EAGLE DANCER Bolo J Beyuka. The etched eagle dancer by J Beyuka was done using a tool and it highlights the feathers and furs. The stones used are White MOP, Onyx, Yellow MOP, Turquoise, Coral, and Pipe stone. 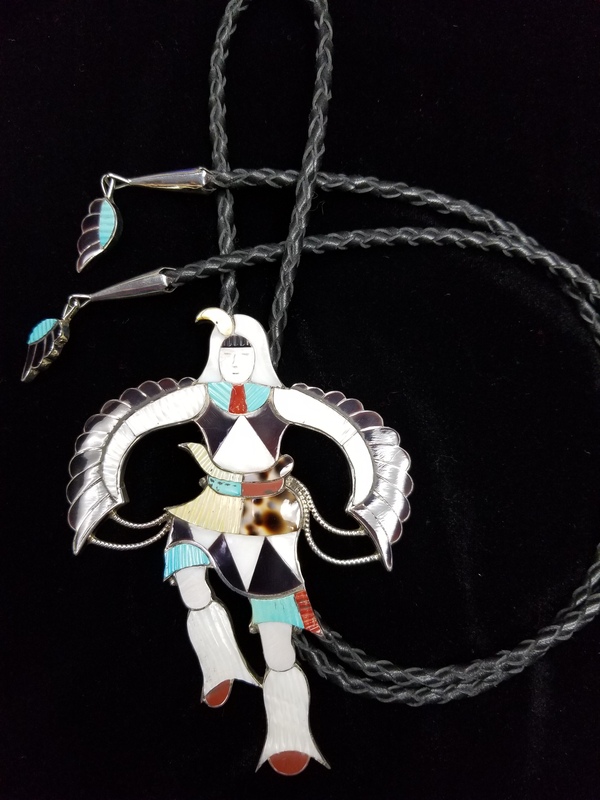 Large Eagle Dancer for the bolo tie collector! 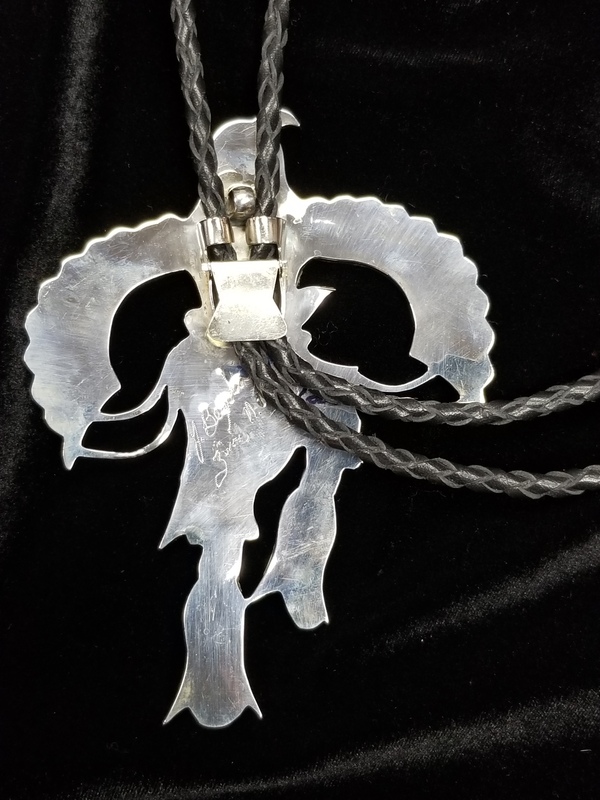 This bolo can also be worn as a pendant, it has a pendant loop above the bolo backing! Zuni EAGLE DANCER Bolo J Beyuka. The inlay here is traditional Zuni inlay with J Beyuka using the four colors for the Zuni directions. 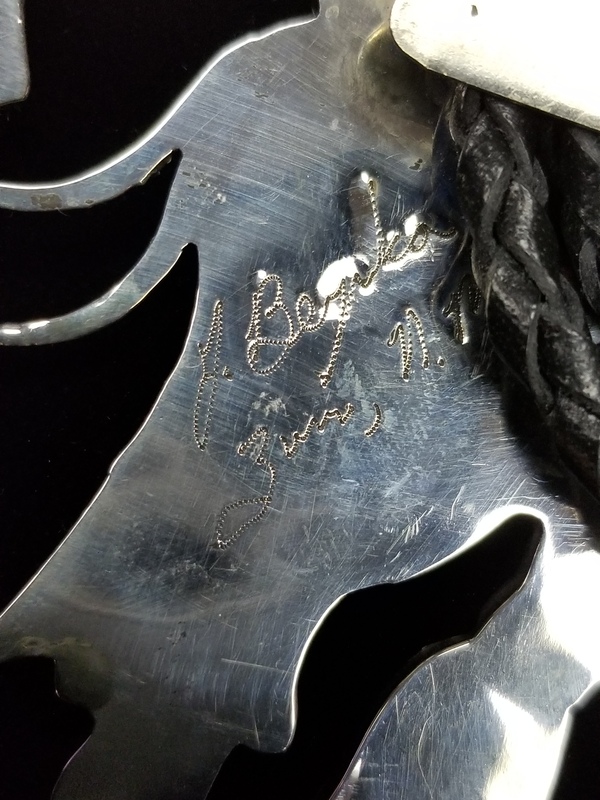 J Beyuka uses etching in this bolo which makes the furs and feathers stand out on the Eagle dancer.